This past weekend, The Martian debuted in theaters to much fanfare, and the Cliff’s Notes version of this is: it’s not undeserved. 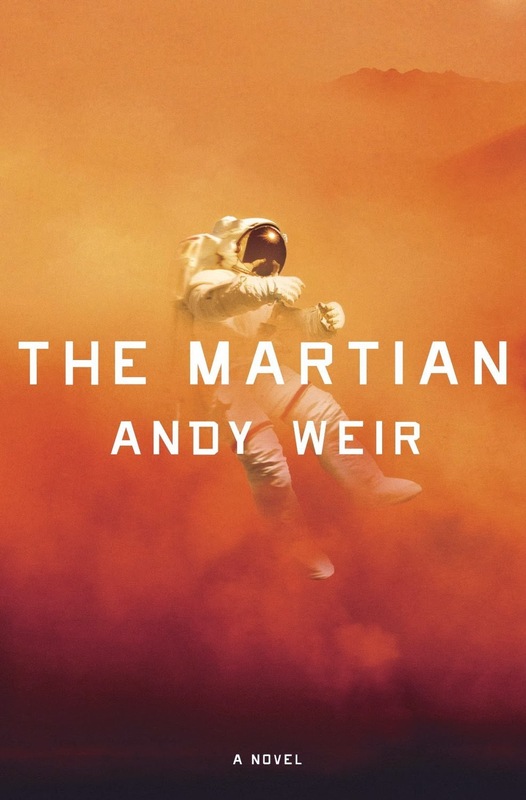 The film adaptation of Andy Weir’s runaway bestselling novel tells the harrowing tale of one man’s endurance, ingenuity and determination to survive as a lone astronaut accidentally left for dead on the surface of Mars. With limited food and supplies and no way to reach Earth, astronaut Mark Watney must make equipment meant to last only 30 days keep him alive for over a year until the next crew can reach him, using only his wits. It’s a tale of survival against impossible odds, like Apollo 13— or, for that matter, the Firefly episode “Out of Gas.” Coincidentally, one of the NASA managers tasked with coordinating the interplanetary rescue effort is played by Chewitel Ejiofor, better known to fans of Serenity as The Operative. The film itself has been pretty well hyped by 21st-Century FOX and eagerly awaited by the novel’s many fans. The good news is, it essentially lived up to said hype. Being an avid reader myself, comparisons to the book are inevitable. In this case, though, we have one of the rare instances where a film adaptation may not necessarily improve on its source material, but does an excellent job of bringing it to life and telling it in a way that novels often can’t. Ni hao, travellers! With the recent announcement that NASA has found evidence that water still flows on the red planet, and with the highly anticipated film The Martian hitting theaters in the United States, what better occasion can you ask for for the return of The Science of Firefly? 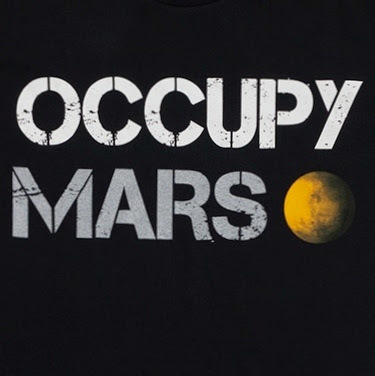 Today, we will indeed be looking towards Mars as a prototype for the very colonization and terraforming techniques that we’re told occurred on many planets and moons in Firefly‘s ‘verse to create the setting for the show and its follow-up film, Serenity. For those of you just joining us, Take Back the Sky is a campaign by fans of the cult hit sci-fi show Firefly to write letters and sign petitions to SpaceX to name their first manned spacecraft– called the Dragon— after Serenity, the ship featured in the show. SpaceX founder and CEO Elon Musk has come to be known for being outspoken about his intent for the Dragon to be the key trailblazer, a 21st-century Mayflower, in a larger movement to found a permanent, independent colony. Scientists, futurists, politicians, and all manner of talking heads can’t “offer comment” loud or long enough– some saying it’s a brilliant plan, others naysaying and decrying the dangers involved (which don’t affect them, if you think about it. Just sayin’…). Graphic– and vision for the future– courtesy of SpaceX. In this installment of The Science of Firefly, we’ll tackle the ultimate question: Is it possible? Could human beings found a permanent settlement on another world within our lifetimes and eventually transform it to become like Earth, just like many a science-fiction novel or film? Or does the required technology and knowledge to achieve such a thing still elude us? How do we permanently settle another planet– like Mars– without needing re-supply from Earth? Won’t it cost too much? How do we transition from “extreme campout” to a place you might actually want to live in? How do you terraform a planet? How long would it take? Remember the last time you spoke with a friend, and realized he’d never seen Firefly before? After you both had a chance to catch your breath after you tackled said friend and pinned him to the ground, do you remember the urgency with which you pleaded with him to watch it, so that he too might have that Whedon-borne life-changing experience? Ever since reading The Martian by Andy Weir recently, I’ve been pressing it upon people in the exact same way (just ask Chris). Well, okay… maybe minus the tackling and pinning part. The Martian is a gripping, white-knuckle account of a lone astronaut accidentally left for dead and stranded on the surface of Mars by the rest of his NASA crew. How’s this for an in-media-res opening: Flight engineer Mark Watney regains consciousness in a ditch in the middle of a howling Martian dust storm, hours after the rest of his crew has left in their only ride back home to Earth, impaled by part of an antenna in his abdomen– which means his suit is leaking both air and blood! With no one there to help him, he realizes that even if he can survive, somehow crawl back into the airlock and tend to his wounds, the hab module only has enough supplies for 30 days. Due to the nature of planetary orbits, the next crew won’t be coming to rescue him for over a year! Not that they’ll be coming to rescue him in the first place, because the only means of communicating with Mission Control is sticking out of his gut at the moment. Having no means to contact and counsel with NASA back on Earth, Watney is forced to get by on sheer determination and clever ingenuity. Ni hao, fellow Browncoats! Jeff here, rocket-scientist-in-residence here at Take Back the Sky. 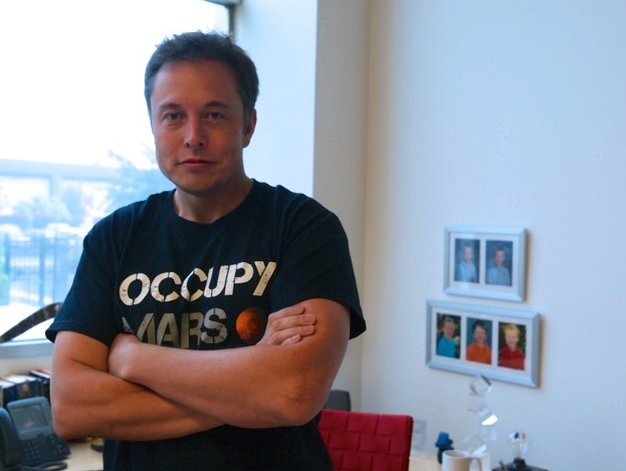 A few days ago, Elon Musk participated in an AMA interview on the popular website Reddit prior to the most recent launch attempt of CRS-5. For those of you unfamiliar with the online forum, “AMA” stands for “ask me anything.” It’s like Meet the Press, if it were before an audience of half-starved reavers. The key takeaway, though, was his letting slip that his company intends to announce the full details of just how they intend to beat NASA to colonizing Mars later this year. Musk has been teasing the Martian Colonial Transport, or MCT, for several years now, but up ’til now has been vague about the details. Is it a rocket? A third incarnation of the Dragon spacecraft, ruggedized for the trip to the Red Planet? Finally, the tech mogul stated online that “The Mars transport system will be a completely new architecture” (Emphasis mine). After the presentation, we assume he flew away in an Iron Man armor suit. If you missed out on last week’s public unveiling of the Dragon v2 spaceship, you really missed out. It had all of the “cool” factor of an Apple product debut–but when was the last time your smartphone shot a 30-foot flame behind it? Tens of thousands of viewers watched online when the sheets were pulled off of it, revealing what will in all likelihood be the first 21st-century spacecraft to take adventurous souls out into the ‘Verse. The media and the general public were blown away by the touted features of powered-descent landings “with the accuracy of a helicopter,” and especially the sleek, futuristic control panel. The smooth, streamlined touchscreen interfaces made so much of an impression, in fact, that it may have overshadowed some of the other salient details revealed during the event. We thought that, now that the press has had a moment to catch its breath, we’d help read between the lines for you about what was said–and what wasn’t said, but can be deduced.